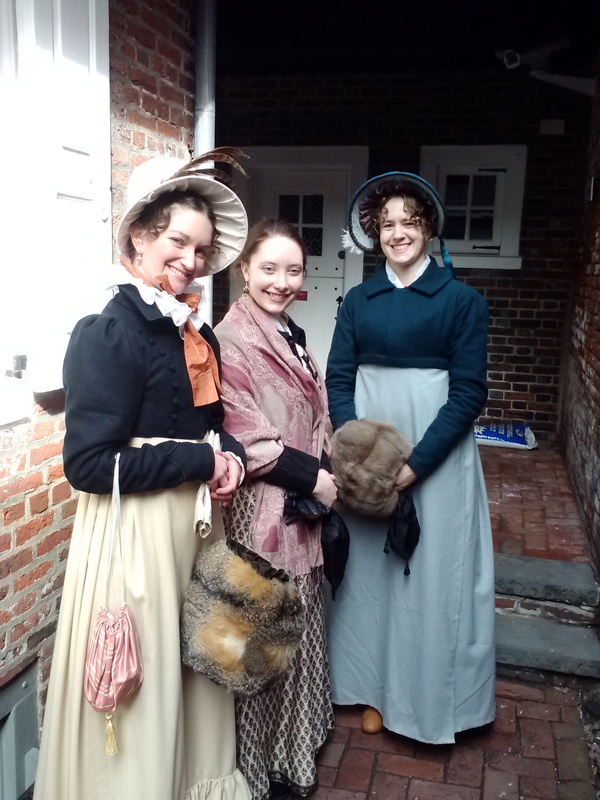 We celebrated Amanda’s birthday with a fun day in historic Philadelphia on saturday. 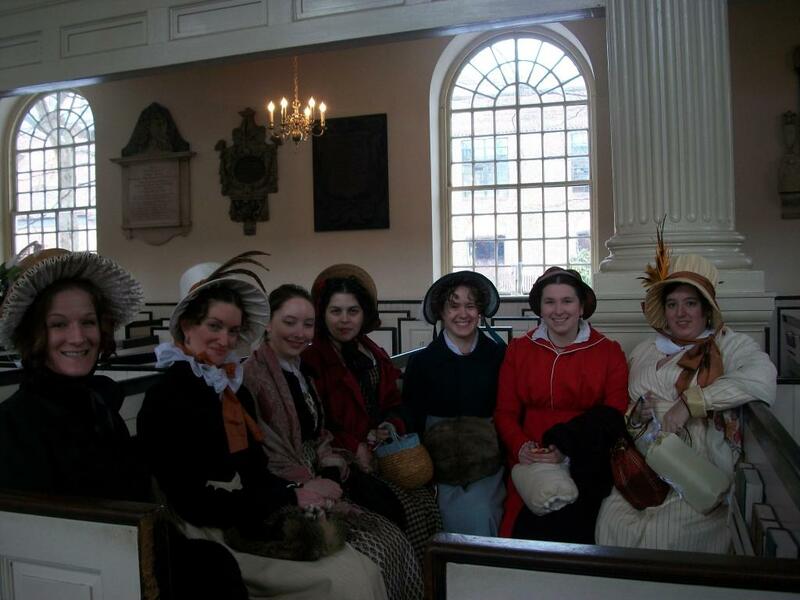 We went to the Betsy Ross House, Christ Church, Independence hall and had a delicious lunch at City Tavern. 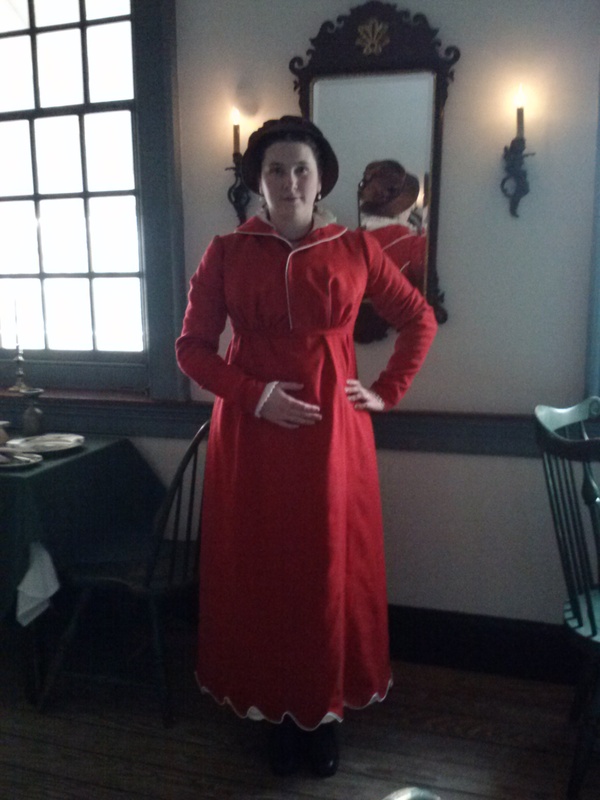 As it was winter and we were going to be outside a lot none of my other regency dresses would do, I would simply have to make something new! 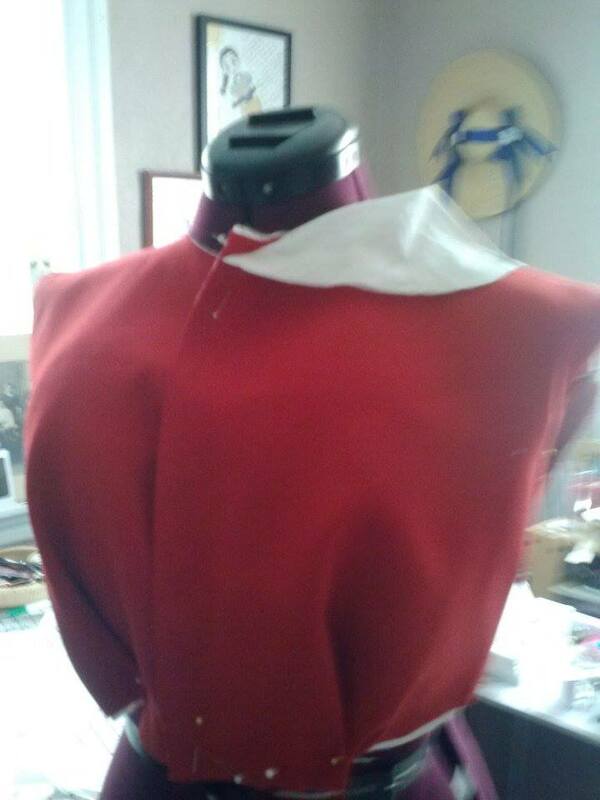 But as I was finishing up the bodice portion on Thursday night I suddenly realized it was pretty much a complete spencer…and if I just put a bodice on the top..voila a jumper! And then I could have a dress and a spencer and be warmer! The only downside of this brilliant plan was that I hadn’t planned to put something under my sleeves so I had not cut them with extra space. 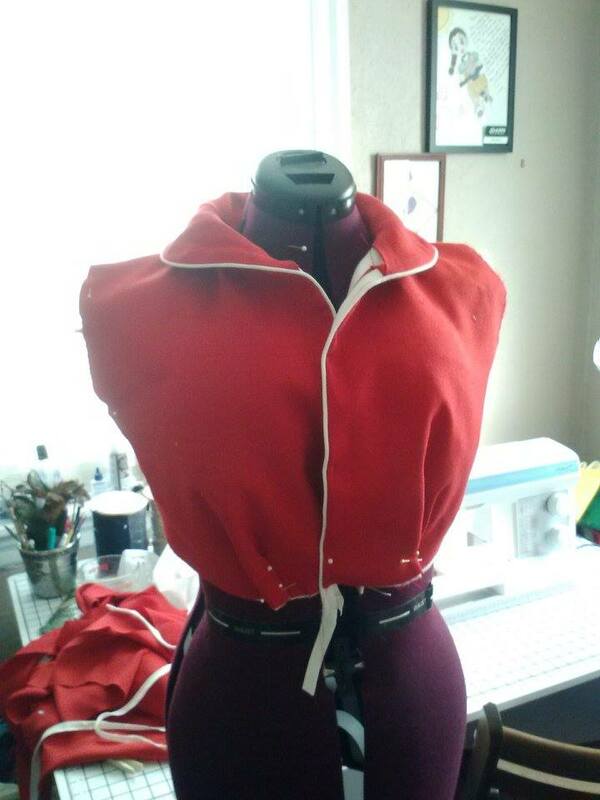 I used red gabardine because it was in the stash, but we’re going to pretend I did it for Go Red for Women! Don’t forget how dangerous heart disease can be in women. I remembered to get ONE photo of me ta da! 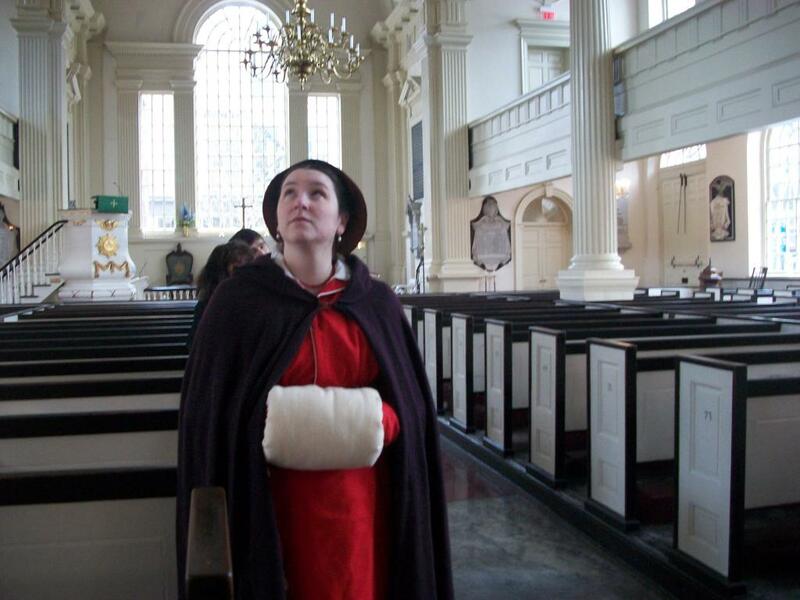 The skirt is two panels, one the 60″ width of the fabric and one 40″ wide, why 100 inches? I dunno it seemed full enough. One seam is on the side front for the closure, the other is buried somewhere in the back pleats. 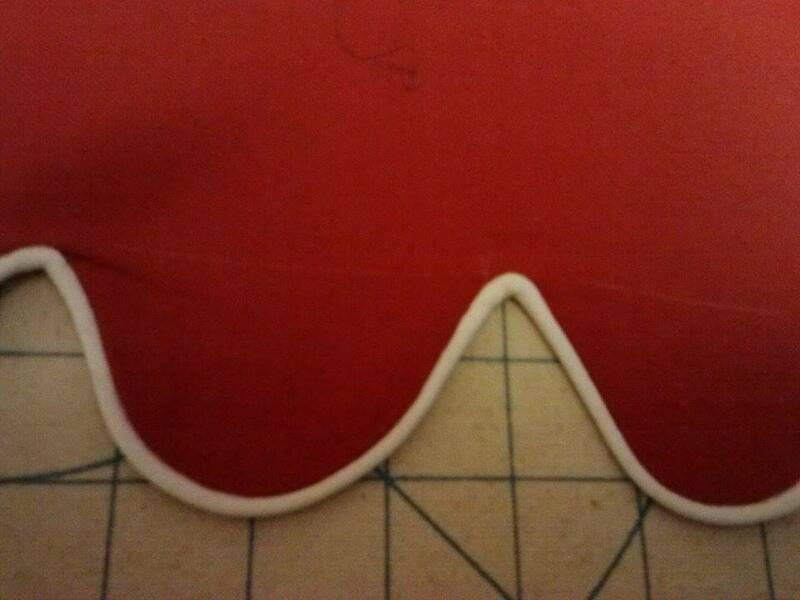 I did scallop trim around the hem. I traced a hot chocolate container and then stitched piping around it, very easy but I was pleased with the impact. The collar took me the most figuring. It’s a roll collar, but not a full role, and it’s a peter pan collar, but not a full peter pan..so in the end this is as close as I got. In the end I was pretty pleased with how it came out. And aside form stuffing way to full shirt sleeves under a spencer with fitted sleeves it was very comfortable. Last two photos stolen from Amanda, HAPPY BIRTHDAY!